The schools within the United Schools Federation (USF) have been using the International Primary Curriculum (IPC) for a number of years as a way of delivering an exciting curriculum and preparing the children for a life in an increasingly global society. We believe that preparing the children to be future citizens of the world supports their learning in all areas and promotes the development of an environmental perspective for the future world in which they will all have an active part to play. The IPC have developed new units to help to support the delivery of the new National Curriculum and an overview of the units being covered is available. A local study project – to meet the requirements of the new National Curriculum and celebrate the historical and geographical influences on the area where we live. Film Week – to inspire writing and creativity through film. Arts week – to promote creativity and cross curricula learning. 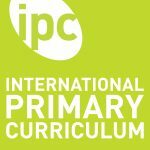 Find out more about the International Primary Curriculum.